Dentals - GREENVILLE ANIMAL CLINIC & HOSPITAL,LTD. Dental disease typically begins when a thick, sticky plaque builds up on the teeth and hardens to form a cement-like tartar. When this tartar is not removed, the teeth under it begin to decay and inflame the gum line, causing further damage. Regular professional cleaning is important to maintaining your pet's oral health. We recommend yearly dental examinations. 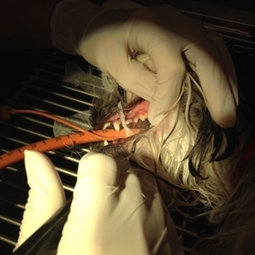 We offer preventative supplies, such as treats as well as scaling under anesthesia to help prevent and manage your pet's dental issues before they progress or become serious.